What Changes for Current Time Warner and Bright House Customers? Want to explore other providers? This comprehensive guide has one purpose—helping you discover the best Spectrum deal. Telecom service companies offer a ton of packages. Consumers love this variety, but the fact remains that so many options end up confusing the decision-making process. Getting lost among the labyrinth of facts isn’t a pleasant sensation. Check out any provider website and you encounter an avalanche of numbers, internet upload speeds, download speeds, channel counts, pricing, promotions, and so on. How do you figure things out without getting frustrated? Follow this guide! We have categorized all the information and presented it in an easy-to-read way. Read on and find the best Spectrum deal. Want specific information? Use the sidebar to navigate to the relevant section. Spectrum is now widely available in the United States and it’s accessible in 40 states. The company serves 17.3 million cable TV customers and 194 million broadband customers. Once you select the area the buy flow appears prompting for an address and then presenting available service providers and packages. The option to go back to the guide does not function and instead, you have to reload the page. Before reading check if Spectrum deals are available in your area. Let’s take a look at the deals that are currently being offered by Spectrum. *availability of service and pricing may vary. Based on serviceability you may find yourself in an area which is not serviceable for TV, internet, and phone. The best values in terms of value for money will forever be the Select Triple Play Bundle based or the Silver Triple Play variant based on your requirement and choice of cable programming. If you're on a budget then bundling cable and telephone is a clear cut must for without the phone you will be paying more for standalone TV services. Standalone services are popular options for budget-conscious customers or for those the need only a single service and the simplicity in billing. Standalone telephone service is not available and has to be bundled with either internet or telephone options. If the home telephone is a must have for your residence please refer to the Spectrum Double Play Phone options listed above or consider bundling all three service by selecting one of the triple play options. Spectrum is owned and operated by Charter Communication which is one of the go-to providers in terms of reliability and cost-effectiveness. Charter Spectrum services currently include internet, home phone, and cable programming services to millions of customers nationwide and are praised for their customer loyalty and overall positive experience. A Fast and reliable internet connection is just a phone call away! 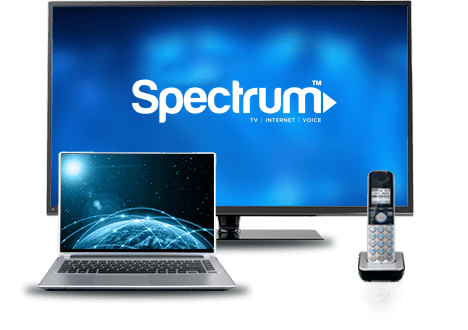 Spectrum internet plans are designed to fit your needs and budget. Whether you are looking for high-speed internet or variety of cable programming options, Charter Spectrum has something for everyone. With Spectrum Internet, users can stream HD movies, play online games and download large files from the internet in a timely and effective manner without the unnecessary complication of anxiety bought on by slow internet. Spectrum cable offers the best in entertainment and On Demand content. 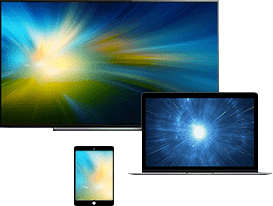 Get access to premium channels, watch crisp HD-quality video, and much more! The starter cable tv package, Spectrum Select, includes over a 100 channels and is the most budget-friendly option. Want more channels? Go for Spectrum Silver or Spectrum Gold. Spectrum TV reaches 17.3 million customers across the U.S. and is the most popular cable TV provider. Their service packages are designed to meet the needs of the most demanding consumer. Hundreds of channels and On Demand video will keep you and your family entertained all day long. Spectrum Voice lets you remain connected with your friends and loved ones. Get the most flexible digital phone service with Spectrum. You can make unlimited local calls and enjoy more than 18 advanced calling features. Spectrum home phone is the easiest way to remain connected with your loved ones. Unlimited calling and advanced voice features make this service the ideal choice for your home. Provide us the details of your address and we will present you with the perfect opportunity to get the best available deals in your area. Choose a package that best suits your requirements or go for a bundle deal to save even more on your monthly bills. Simply call our team of experts and we will help you get the best deals available in your area. Choosing the right Spectrum plan can get a bit confusing. If you’re torn between two or three great options a quick comparison will often help you finalize your decision. Here is a handy comparison chart that lists all the information you need to choose the best deal. Spectrum aims to provide reliable and highly affordable services. In order to attract customers in this highly competitive industry, the company has introduced flexible plans and special value-added offers. A major reason to choose Spectrum over other providers is their contract-free service. Spectrum customers don’t get locked into year-long service agreements and can cancel any time. There are no penalties applied for cancelling your subscription. You also get a 30-day money-back guarantee essentially making the service a risk-free option. Spectrum promotional pricing is applicable for a limited amount of time, make sure you are clear on the time range when ordering your deal. If anything listed on your bill isn’t clear or has changed drastically, make sure you give the company a call to figure out the charges. ETFs can drive up the overall price once factored into your bill. Most providers levy a charge if the consumer cancels services. The great thing about Spectrum is that it’s a contract-free provider and doesn’t apply any cancellation or Early Termination Fees. You aren’t locked into a contract or service agreement, this means cancelling services won’t result in a penalty. The arrival of the bill often catches consumers off guard. Seeing a significantly large number that you didn’t expect is an unpleasant experience. Providers do list all the hidden costs, but the information is hard to find among the fine print. Here is a basic breakdown of all the fees applied when you order Spectrum deals. If you want a more detailed breakdown of every charge listed on your Spectrum bill, check the Spectrum billing information page. These numbers might change depending on where you live and/or other factors. Always make sure you get accurate information when ordering. Customers have many options to choose from when it comes to finding cable TV, internet and home phone services. Browsing an individual provider website is often a pain and finding relevant information is even tougher. A typical consumer will get lost among the tons of technical details and facts. A side-by-side comparison is often the quickest way to find your ideal service provider. Spectrum, Xfinity, and Cox Communications are among the top telecom service providers in the U.S. We compare their major offers and features to help you figure out the best option. Spectrum provides all basic residential services, cable TV, internet, and home phone, over a fiber-cable network. The specific technology is called Hybrid Fiber Coaxial. The network core is built of fiber optic lines which switches over to copper cables at the last mile between a local network node and the subscriber’s residence. This hybrid network is commonly referred to as cable. Like most providers, Specturm installation is fairly simple. All three services are provided over their fiber-coax cable network. As such, they require connecting a subscriber’s modem/set-top box/phone to a coaxial outlet located in the house. There are two ways to install Spectrum, self-installation or professional installation. A professional installation costs extra. A technician will visit your residence and set up the service. This option is best for customers who want to avoid the hassle of the DIY approach or aren’t familiar with the technical knowledge needed to configure routers. Spectrum provides detailed instructions for customers who choose the self-installation route. 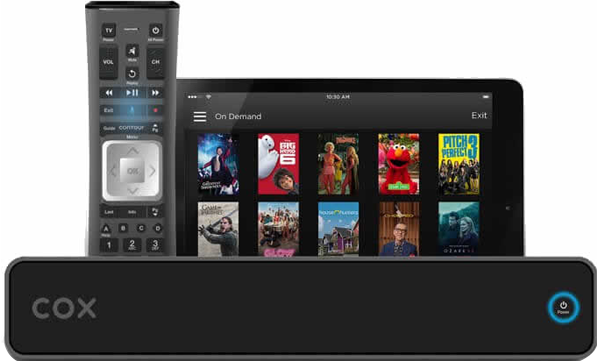 Xfinity by Comcast is one of the top cable and internet provider in the U.S. Their digital services include cable TV, digital home phone, and broadband internet. 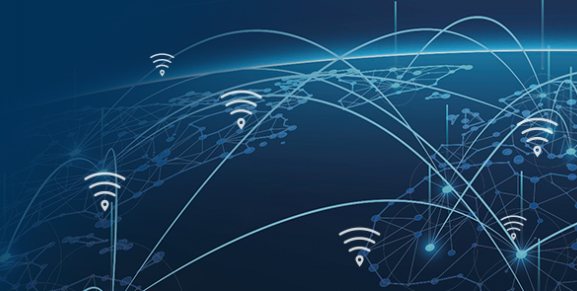 Xfinity provides their telecom services nationwide over a broadband cable-based network. Cable networks use copper wires that are faster at transmitting data as compared to traditional DSL. Usually the download speeds are much higher than upload speeds. Xfinity is planning to offer gigabit speeds in limited areas. Xfinity makes self-installation a breeze. Customers receive a self-install kit containing detailed instructions. Follow these to quickly set up your Xfinity services. Professional installation comes at a small additional cost. This option is best if you are subscribing to cable TV services because of the extra work involved in setting up wiring. Cox Communications (formerly called Cox Cable) provides internet, cable TV, and digital phone plans. The company serves 6.2 million residential and business customers. Two-thirds of their residential customer base subscribes to one of their bundle deals. 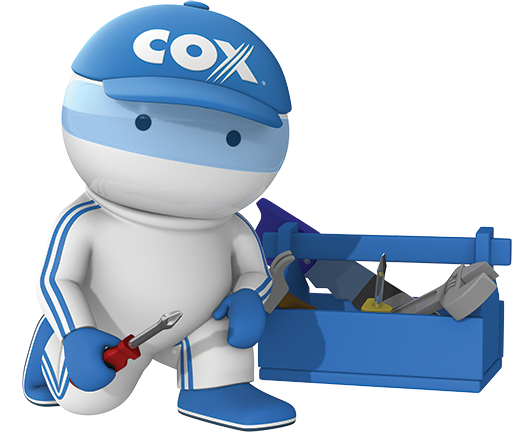 Cox Communications deliver their internet service over a coax network. The central node (called a backbone) that interconnects the vast cable network uses next-gen fiber optic technology. These faster cables travel all the way to specific neighborhoods. The neighborhood node is connected to individual residences via coaxial cables. This node implements a load balancing mechanism that allows individual residences to share bandwidth. Like most providers, Cox offers a self-installation option as well as professional installation service. They encourage customers to opt for self-installation if the residence is located in an area already wired for Cox service. This is an easy and budget-friendly choice. Cable TV services and phone plan subscribers should pay for professional installation because the process is more complicated. Setting up these services requires fiddling around with complicated wiring. There are three broad categories of network technologies: DSL Network, Cable and Fiber Optic. Spectrum primarily offers cable internet to its customers considering the fact that cable was one of the fastest network available until the introduction of fiber technology that transmits greater internet speeds. Renting equipment from your internet provider sounds convenient and cheaper at first, but the cost adds up over time. Usually the provider will include a plug-and-play device that is a breeze to install and operate. However, the monthly rental costs added to your bill mean you are paying the same amount for equipment that is getting older. In this case, buying a router/modem is the more cost-effective option. A mid-range router or modem isn’t very expensive and takes about half an hour to configure. You don’t need to be a telecom engineer to set up the equipment. Plus it’ll save you hundreds of dollars over the years. Keep in mind rented equipment is replaced by the provider in case of malfunction. If you buy your own, repairs and replacement are your responsibility. Spectrum’s TV App is the most convenient way to watch TV on the go. Catch On Demand shows and movies as well as live broadcasts. Simply download the app on your device and log in using your Spectrum username and password. Most Android and Apple devices are supported, find your device in the list below. TV channel apps give you quick access to your favorite channels on your mobile devices. Download a specific TV channel app and watch on your smartphone, tablet, or other devices. You’ll need you Spectrum user name and password to log in. Here is a list of major TV channel Apps available with a Spectrum TV subscription categorized by type. Channel availability differs across platforms and devices, visit the official Spectrum TV Channel Apps page for links and a complete channel listing. 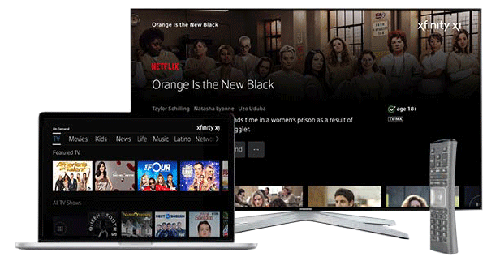 Premium channels such as HBO GO, STARZ, etc. are only available if they are included in your subscription. Most people are stuck with slow and unreliable internet connectivity. The reason is that switching to a better provider is too expensive because they have signed a contract. Spectrum lets you join their contract-free network and gives added incentive in the form of a contract buy-out option. Customers switching over to Spectrum can request a contract buy-out up to $500* and start enjoying blazing fast internet speeds and quality entertainment. Simply choose a Spectrum deal, fill out the Spectrum Contract Buyout Form and email the form plus a copy of your final bill to Spectrum. Spectrum internet connectivity includes a Security Suite that protects your data and devices online. Surf without any worries of malware or virus infections with the powerful real-time protection of Spectrum Security Suite. The security suite can be installed on up to 10 devices at no extra cost. Another great feature is the parental controls. Use the suite control panel to define and implement content rules that will restrict access to objectionable websites. Malware hiding in your system allows hackers to remotely access your computer to steal personal data. The AntiBot Scanner included in Security Suite helps remove any botnet malware from your system. Once you have answered these questions, you will have a clear picture about what you are looking in a bundle deal and this will enable you to choose the best suitable deal for your home. Spectrum has made it very simple for its customers to avail the deals offered by the company. You can easily place an order online or call. How to Install Spectrum Internet? There are two installation options for new Spectrum customers: self-installation and technician installation. This type of installation is recommended for people who avail the stand-alone service of Spectrum internet. People often avail this service to save their money because hiring a professional would cost them more. Moreover, this type of installation is the fastest way to activate your internet service, as you do not have to wait for the professional to come to your place for the installation. This option is recommended for people who subscribe to more than one service because the setup gets complicated and you might not be able to configure the wireless network on your own. However, in order to avail the assistance of an expert, you will have to pay the expenses associated with the installation. Customers are often confused by mentions of Time Warner Cable and Bright House Networks when shopping for Spectrum deals. There is a simple explanation for this anomaly. Spectrum is the customer-facing brand operated by Charter Communications. The company acquired two competing providers, Time Warner Cable and Bright House Networks. Large mergers are common and it often takes some time for companies to roll out a complete brand transition. The only thing consumers need to remember is that Time Warner Cable, Bright House Networks, and Spectrum are the same company. Before this merger, Charter was the seventh largest cable TV provider in the United States, Time Warner Cable was the fourth largest, and Bright House was ranked as the tenth largest. The combined brand, Spectrum, now serves up to 17.3 million cable TV customers and is ranked as the third largest provider. The number of broadband customers served by Spectrum is about 194 million, making it the second largest internet provider in the country. In a nutshell, not much will change for current Time Warner/Bright House customers. Whether you are a part of Bright House, Time Warner Cable, or Charter family, you will be informed if and when any service upgrades are implemented. As the brand transitions and changes roll out, current customers might face problems paying bills, revisions in pricing or features, etc. The specific changes depend on the location and subscription type. Please get in touch with Spectrum customer services to find out details. Spectrum continues to provide high-quality cable television, internet, and home phone services to consumers across the country. Whether you are a new subscriber or a current TWC or Bright House Networks customer, you’ll be sure to get the best quality service and the best deals with Spectrum. Q1. Does Charter Spectrum offer any discounts for low-income households? Yes. Spectrum recently launched their Spectrum Internet Assist program that provides high-speed internet access to all qualifying households. If you qualify you can only pay $14.99 per month. Senior citizens are also eligible for this program. Q2. My Spectrum bill just skyrocketed all of a sudden. Haven’t changed anything. What could be the problem? I live in Detroit if that helps. This usually happens when your promotional price period ends. Promotional pricing is only applied during the first year of service provision. The increase comes as a shock, but this is standard practice in the cable TV industry. Only new customers are eligible for promotional pricing. Q3. Can I customize my channel selections? I want to lower my bill somewhat and heard it would help. Sadly, no. Spectrum channel lineups are locked and can’t be customized. You can sign up for their Spectrum TV Choice streaming service at a cheaper rate than cable TV. Please note that only Spectrum internet customers are eligible for Spectrum Choice. This way you’ll be paying for an internet-only plan with flexible streaming choices. Q4. Are Spectrum bundles worth buying? Absolutely. Bundle deals by Spectrum are specially designed for people who want to avail multiple services at economical rates. Unlike other service providers, Spectrum does not have a data cap, which is extremely beneficial for people who like to stream HD movies and play online games. Q5. I don’t want to buy a DVR from Spectrum, can I use my own? You can. However, keep in mind that Spectrum won’t offer support, repairs or replacements. If you store tons of content then getting your own device makes sense. Tech-savvy customers even opt to install their own router instead of renting one from Spectrum. Q6. I am a Time Warner customer from Ohio. How will the merger affect my bills? Time Warner customers in Ohio will see a new name on their cable bills. The major change legacy Time Warner customers will notice is the change in internet speeds. Spectrum offers 60 Mbps internet and no data caps are applied. This is definitely an improvement over the old TWC service. Cable TV subscribers will have more On Demand choices and more Spanish language channels. Another new feature is the Spectrum TV App that lets you watch live TV on your mobile devices. Q7. Why did Charter merge with Time Warner Cable and Bright House Networks? The company wanted to consolidate strengths and provide high-quality standardized services to the maximum number of customers. Charter has officially taken over Time Warner Cable and Bright House Networks. These legacy brands will be combined with the Spectrum brand so that customers do not come across any problems with their services. Since the merger, Spectrum has improved its services and it covers almost all of the United States in order to facilitate customers who live in remote areas. Q8. How do I get in touch with Spectrum support? 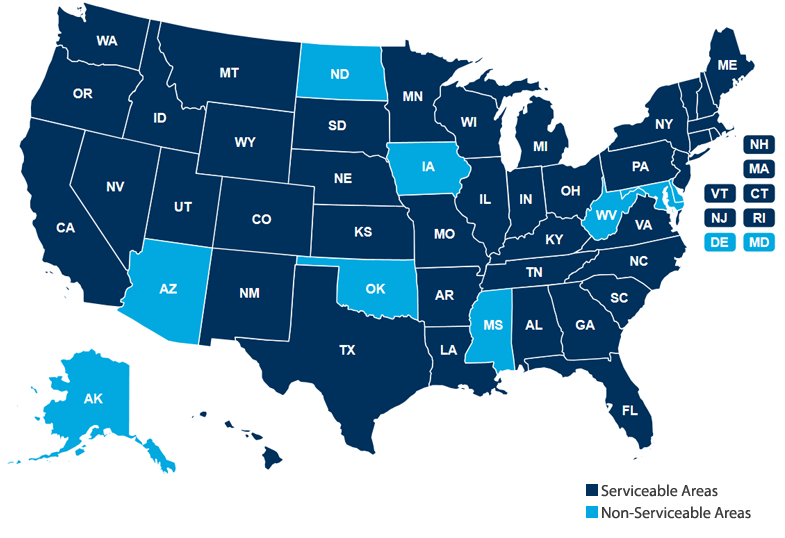 Spectrum customers have 24/7 access to highly qualified service representatives. Any issues are resolved easily if the reps can get accurate information about your account. Customer representatives at Spectrum need some basic information from you so that they can resolve the problem that you are suffering effectively as well as efficiently. So, make sure that you have the following information handy when you are making a call to the Spectrum support line. Every Spectrum customer is issued a unique account number which is also printed on every bill that you receive on a monthly basis. You need to tell your account details to the customer representative so that your call goes smoothly and you can receive instant customer support. This information helps the customer representative verify your identification in order to ensure that it is actually you who is making the call. You need to have a note-taking device with you at all times because you might have to note down confirmation numbers, phone numbers and other service related information. * Please note that the prices for standalone services and bundle deals might change due to differences in applicable taxes across states. Call 1-855-814-6041 for updated and location-specific pricing information. **More plans might be available in your area. Please call Spectrum customer services representatives for information.